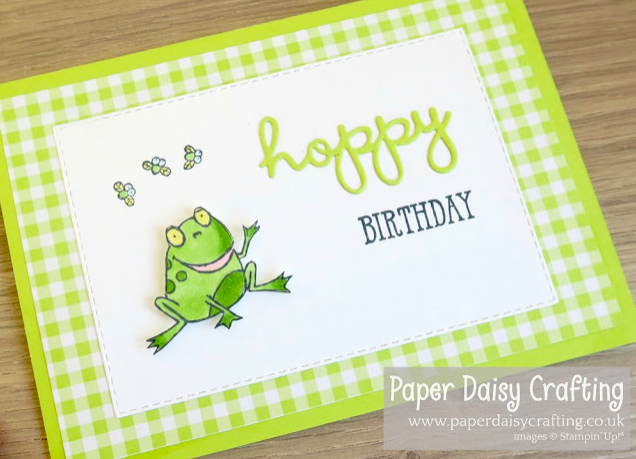 Jill used the Free Frog stamp set for her card. 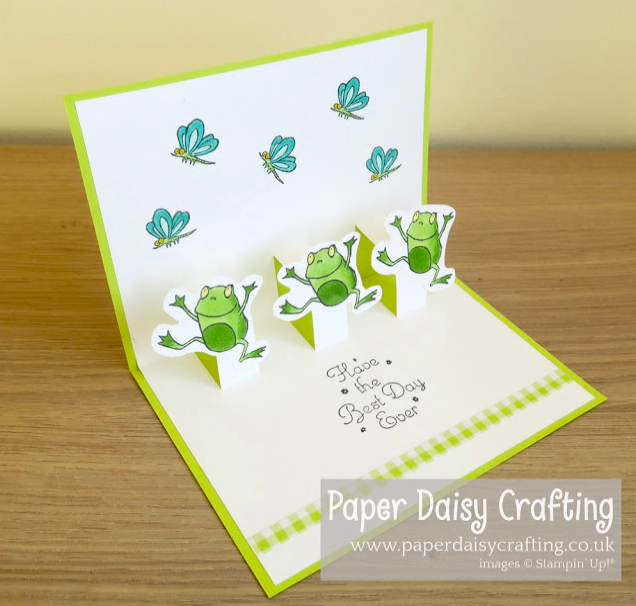 I love this pop-up card with what looks like dancing frogs on the inside, so cute. Jill has done a video tutorial of this card as well and there is a link to it on her blog so I would definitely check that out. Verity used the Free Butterfly DSP, I used this myself n the blog hop. It's great that the butterflies punch out with the Butterfly Duet punch. I Love how Verity has used the Black & White some of the DSP as well as the coloured side. Heather used 2 of the Free items, the ribbon and the stamp set. I love the sentiments in this stamp set and I love this ribbon, sadly the ribbon is no longer in stock as it has been so popular all stock have not gone. 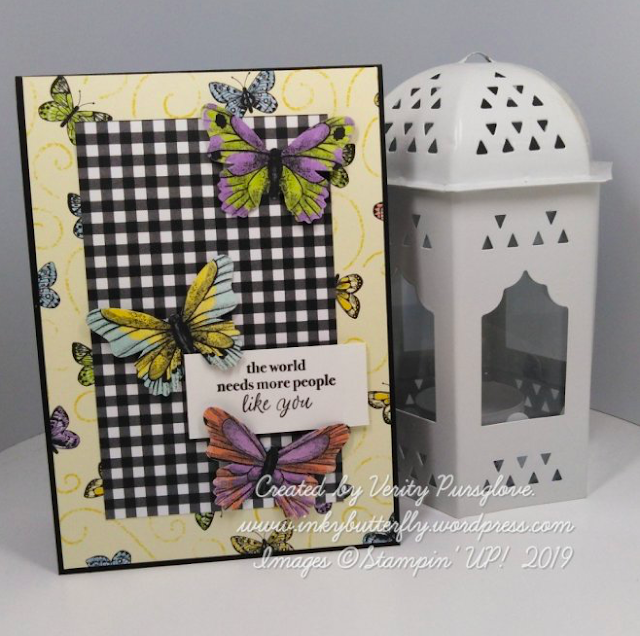 Heather has CASE'd the catalogue for this layout, it is a great place to get inspiration.